The Renegades poll has ended and here are the results. 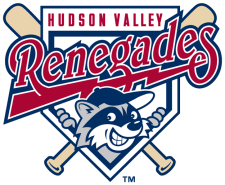 Malm led the New York-Penn League in homers, finished second in the league in RBI's and was near the top off all Renegades offensive stats for the 2011 season. The NYPL All-Star finished the season with a .257 average, 15 doubles, 12 homers and 47 RBI's in 73 games. He was also named the Player of the Week for the NYPL for the week of July 11. Malm was drafted by the Rays in the fifth round of the 2009 Draft. Bellatti was the Renegades pitching leader for the 2011 season. He led the team in ERA, WHIP and strikeouts. He finished the season with a 3-5 record and 2.63 ERA with 63 strikeouts in 72 innings pitched. Bellatti was drafted by the Rays in the 12th round of the 2009 Draft. 155 readers participated in the Hudson Valley poll. Below are the top five of each category as chosen by the readers of Rays Prospects. The next poll will open tomorrow and will focus on the Bowling Green Hot Rods. Malm was the best of a mediocre group. Other than a couple of good weeks in July (hey what happened to the "Malm watch" - lol! ), he was just another player.